What could be better than brunch? We tour the capital’s best brunch locations, from the traditional to the edgy. At Siltanen you can enjoy a Berlin-style brunch with friends while a DJ spins tunes in the background. Brunch, that happy marriage of breakfast and lunch, has been receiving lots of attention in Finland lately. We set out to find the best brunch locations in Helsinki, from the traditional to the edgy. This unhurried meal has long been a much loved part of weekend mornings around the world, and the Finns also appreciate the originally American phenomenon. During the 2000s, Finland really caught on to the idea of a breakfast stretching into afternoon, with an ever-increasing number cafés and restaurants adding brunch to their menus. Dozens of places attract a full house on weekend mornings. Brunch in Helsinki represents a real fusion of foreign and local. Among the croissants, jams, cakes and omelets that form the core of a good brunch, Finnish rye bread, Karelian pies and porridge proudly represent Finnish culinary culture. Different places focus on different morning goodies; some are known for their continental-style breakfast while others boast a wide selection of cakes. 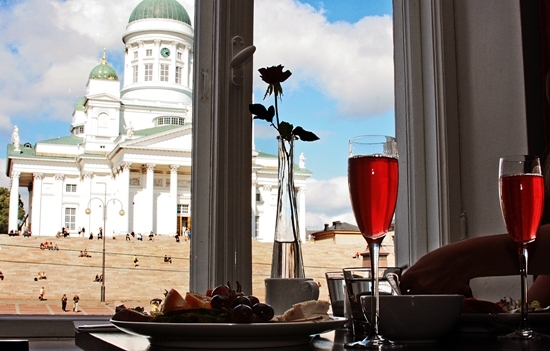 Helsinki offers a wealth of different brunch venues. Among the most popular are classic cafés serving luxurious breakfasts in historical settings. Café Engel, Café Ekberg, Fazer and Primula all enjoy unquestionable status, with roots extending far back in the capital’s history. These brunches attract people from all walks of life who want to enjoy an unhurried breakfast in style, whether with friends or family or in the solitary company of a good book or newspaper. Brunch represents something permanent and enjoyable in our ever-changing world. The license to enjoy a leisurely dining experience in an age when time is money forms at least part of the reason why everybody seems to love this hybrid meal. Great brunches aren’t limited to the fancy cafés of the downtown area. If you’re looking for a bohemian atmosphere, vegan food, chill-out music and retro colours, the up-and-coming neighbourhoods are Kallio and Punavuori. They resemble the restaurant culture of eastern Berlin and are popular among students and young families. 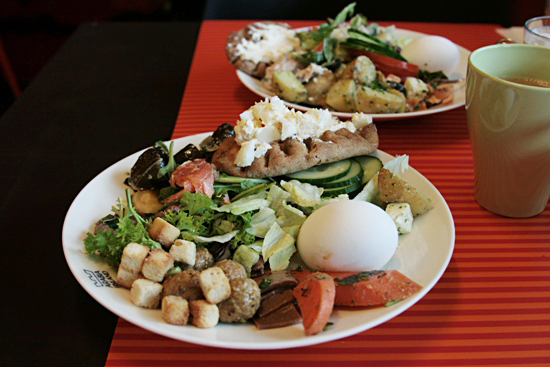 Kallio in particular is a new mecca for alternative diners looking for breakfast with an edge. Café Villipuutarha (which means “wild garden”), only a couple years old, has gained a firm reputation as one of the best brunch locations. Its luxurious breakfasts with fresh smoothies are enjoyed in a room resembling a mixture of vintage shop and English tearoom. At Siltanen, brunch extends into the late afternoon, with a DJ playing relaxing Sunday music. Then there is Dylan, with its retro colours, myriad salads, home-made Karelian pies and piles of fruit and cakes. Its reputation as one of town’s best brunches has travelled far and wide, and the place is invariably packed. See our map above for links and more restaurants. Did we leave out your favourite? Post your own on our Facebook page! 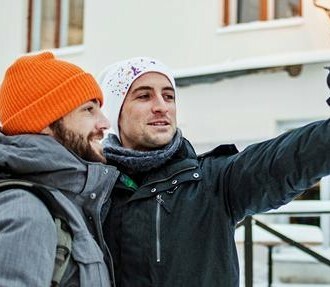 A group of leading travel bloggers tour Finland to discover the country’s most exciting activities and cuisine. The Finnish capital is small enough to lack big-city stress, yet cosmopolitan enough to offer a large selection of dining and shopping. Finnish President Sauli Niinistö wins a second six-year term with 62.7 percent of the total votes, making a second round unnecessary. 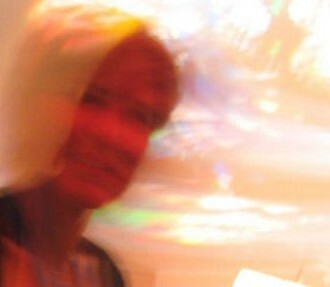 The result surprises nobody, but every election plays an important role.